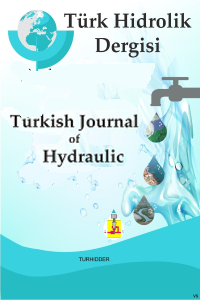 Turkish Journal of Hydraulics is an International, refereed, academic and open-access journal. It is published as two issues a year. It accepts original articles in Engineering and Science fields. The journal is in Turkish and English. Accepted Submissions Manuscript Submission Rules Article preparing template for English "Turkish Journal of Hydraulic"
Aim & Scope Author Guidelines Accepted Submissions Archive Editorial Board Contact Manuscript Submission Rules Article preparing template for English "Turkish Journal of Hydraulic"